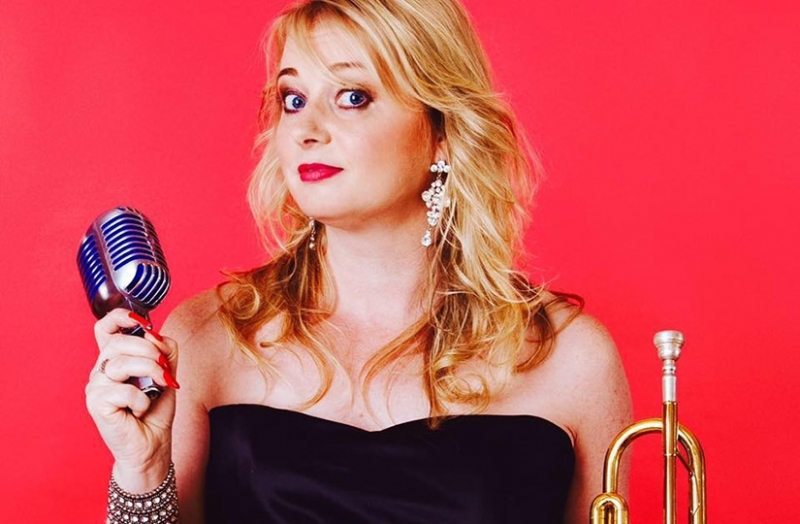 Georgina began her musical career as a professional trumpet player, working for a number of years with many famous faces and big bands in concert halls, television and radio. However, as she describes it, “harbouring a desire to wear a posh frock” she decided that adding singing to her repertoire could be, well, fun. So she set up her own band to sing with and the rest, as they say, is history. These days her excellent swing jazz vocals can be heard in a variety of impressive settings, not least as featured vocalist with the BBC Big Band, the BBC Concert Orchestra and as regular singer with Ronnie Scott’s Jazz Orchestra. Her first CD was Jazz FM’s “CD of the Week” and the single “Change Partners” from her second CD, “Watch What Happens” shot to number 1 in the iTunes Jazz Chart with the album itself making it into the top 5. The London Evening Standard also awarded the album “CD of the Week” status. Her latest recording, “Peggy, Duke & Benny” continues her love affair with classic big band jazz and swing. This is wonderful, swinging straight-ahead jazz from one of the most talented singers on the scene. Oh, and she still plays great trumpet as well so expect something just a little different.